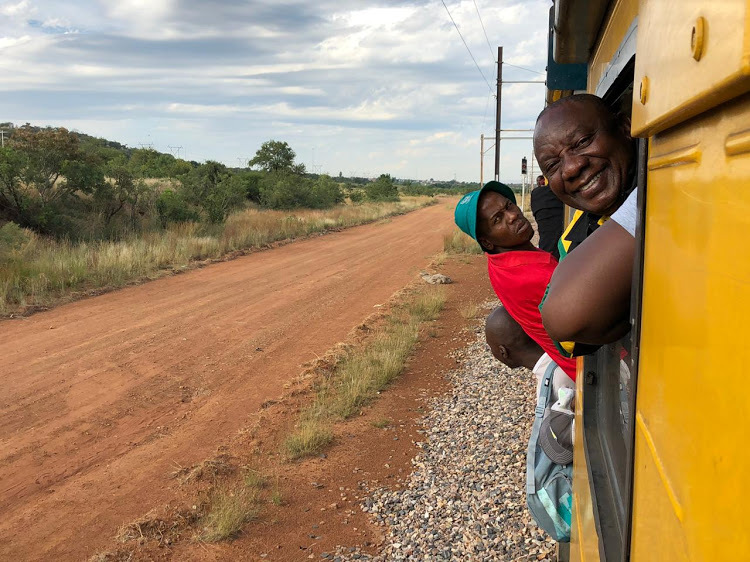 A picture of South African President Cyril Ramaphosa stuck in a public train has attracted mixed reactions from people on internet. On Monday, the ANC leader and his fellow party leaders boarded the train at Mabopane station in Pretoria as one way of interacting with common people in regard of the impending elections in the country. But On the way to Bosman Station, where Ramaphosa later disembarked, the train got stuck twice – at Marabastad and Technikon Rant stations – adding another two hours to the travelling time. Tired of waiting, some of the commuters jumped off the train and walked to their places of work, while the President remained put. However, people on social media have taken turns to the President and other politicians saying this is no sign of considering the needs of people as it will only happen only during this time of campaign and change when Ramaphosa is placed back on his Presidential seat. 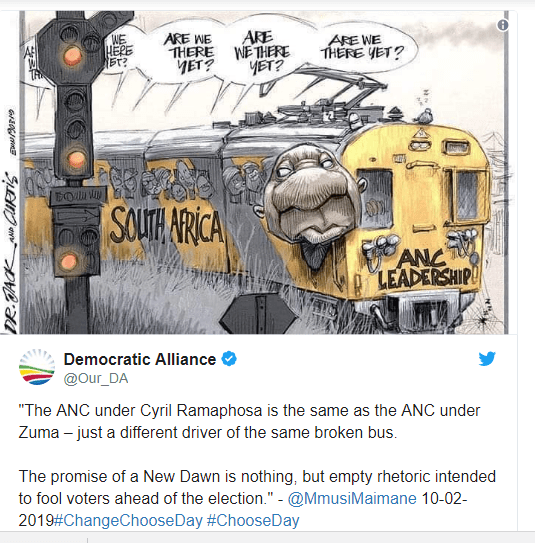 Democratic Alliance tweeted, “The ANC under Cyril Ramaphosa is the same as the ANC under Zuma – Just a different driver of the same broken bus. Some SA citizens stressed that the struggle that their President experienced during the journey is an open eye for him to look into what is wrong in the railway system and the governing party.